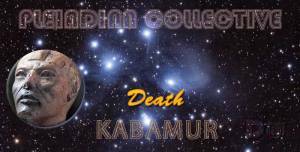 Death – Pleiadian Collective. By Kabamur Taygeta. It Is A Moment To Realize That All You Experience Is Continually Changing. Accumulating As Though This Has Any Eternal Meaning For Your Soul At All. Each Loss That Causes You To Experience Pain Is Real In The Story Of You. And You Are Not This False Identity. You Will Be Able To Transcend The Waking Dream. It Is An Experience Such As You Have In Dreaming.